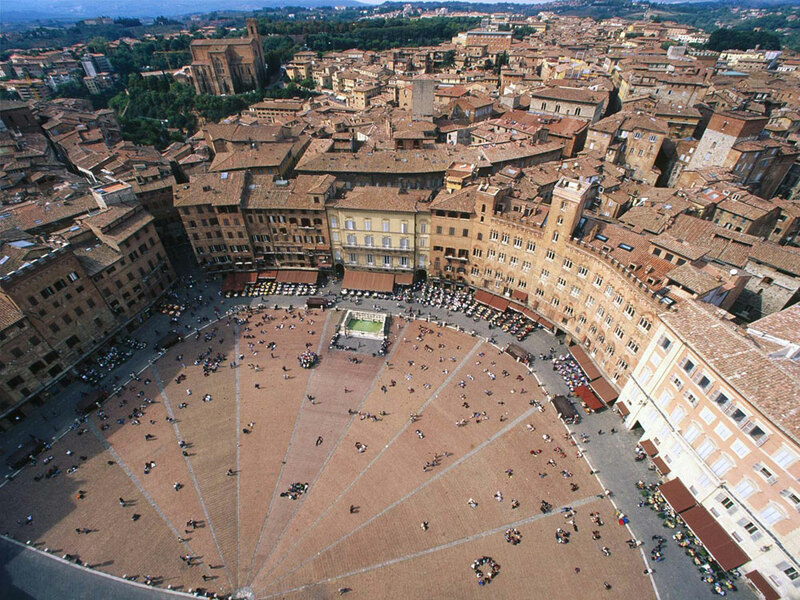 At a centre of the social life in Siena is the Piazza del Campo, quite rightly held to be one of the most beautiful in Italy. With its mediaeval origins, it has the shape of a shell’s valve. 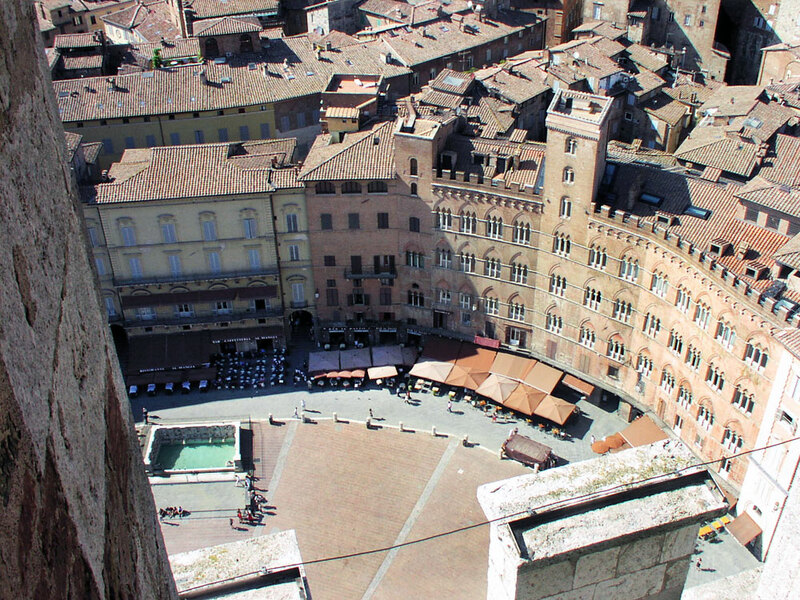 It is ringed by a screen of antique buildings among which stands out the Palazzo Sansedoni (the 13th-14th century). Harmoniously inserted in the piazza is the Fonte Gaia, sculptured by Jacopo della Quercia between 1409 and 1419, buthere substituted by a copy. It was named ” Gaia” because it was inaugurated with great jubilation by the public. 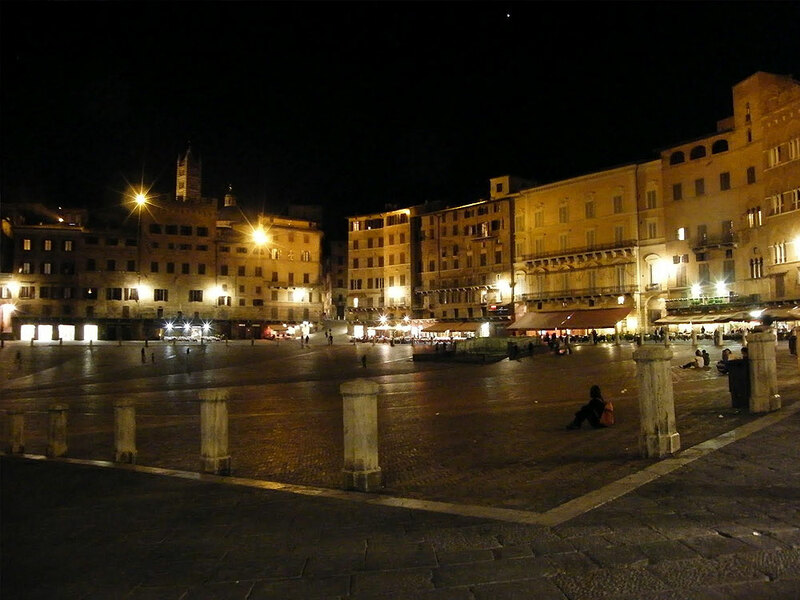 In the background of the piazza is the Palazzo Publico built between 1297 and 1342. 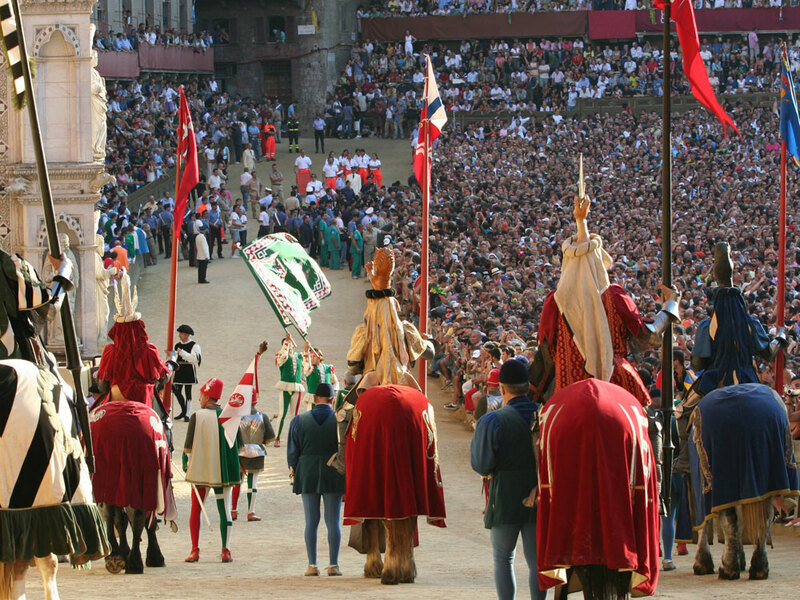 It is one of the most important works in Gothic style in Tuscany, with its central part higher than the rest. It was commissioned by the “Government of Nine”. 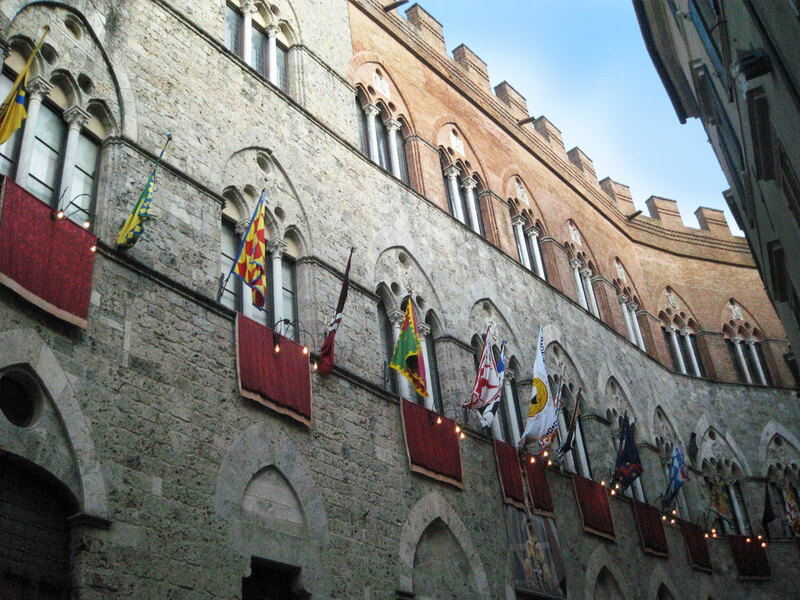 The coat of arms of Siena is present above the windows. The façade in stone in its lower part andin the fired-brick in the upper, shows the symbol of Saint Bernard on the top floor and the emblem of the Medici in the middle of the first floor. 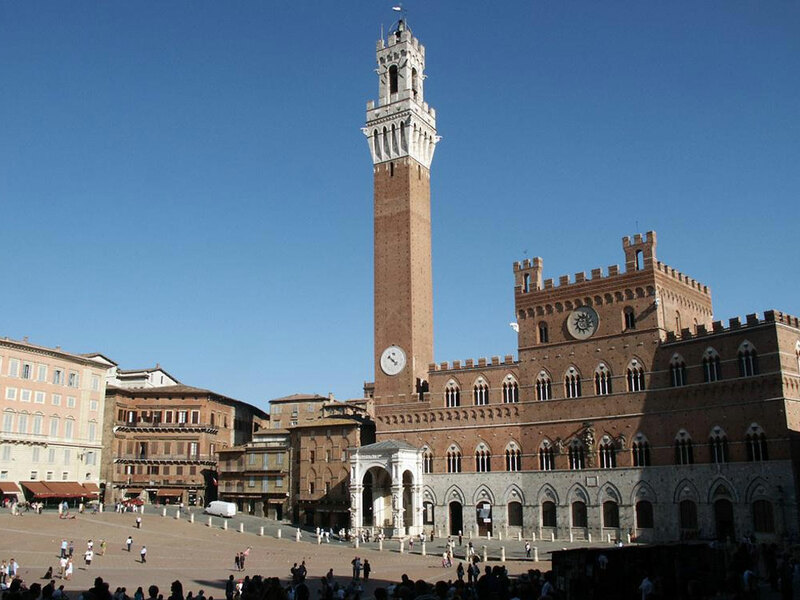 To the left of the public palace springs up the tower (102m) called la Torre del Mangia, built in 1348. 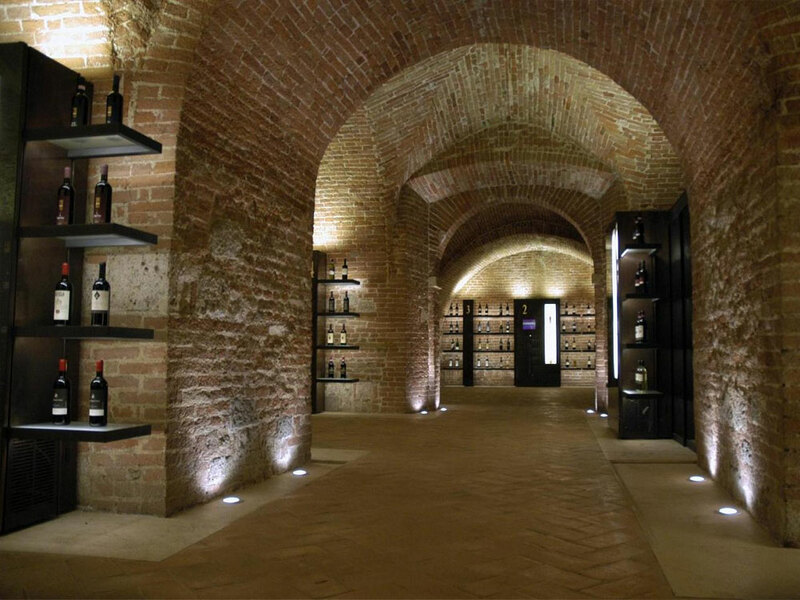 The main part is made of fired-brick (88m) with the white coping. 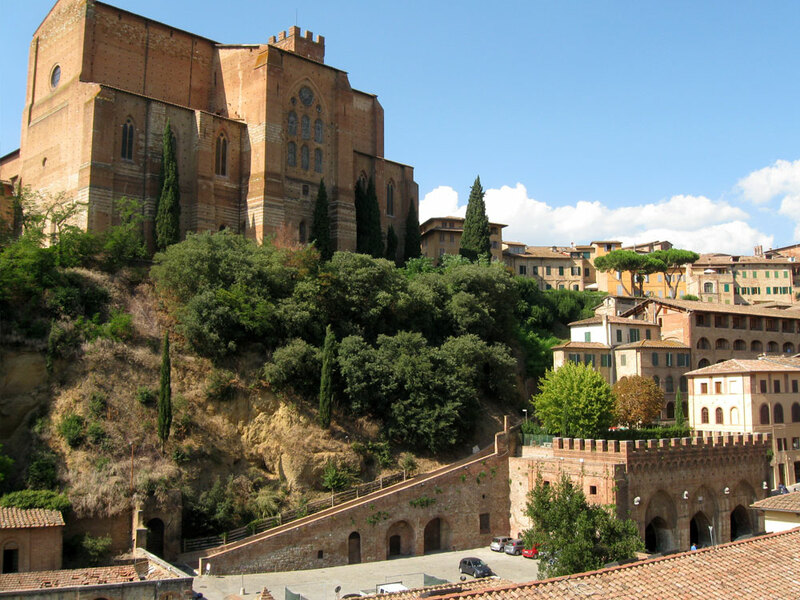 Below the tower is the chapel, la Cappella di Piazza, built between 1352 and 1376. It has a form of a loggia and was completed in Renaissance style in its upper part in the second half of 400. Nearby the entrance to the courtyard of the podesta, il Cortile del Podestà, which is on the right side of the chapel, one can get a breathtaking glimpse of the tower, which can be climbed from here by a stairway of 503 steps to the top of the tower. 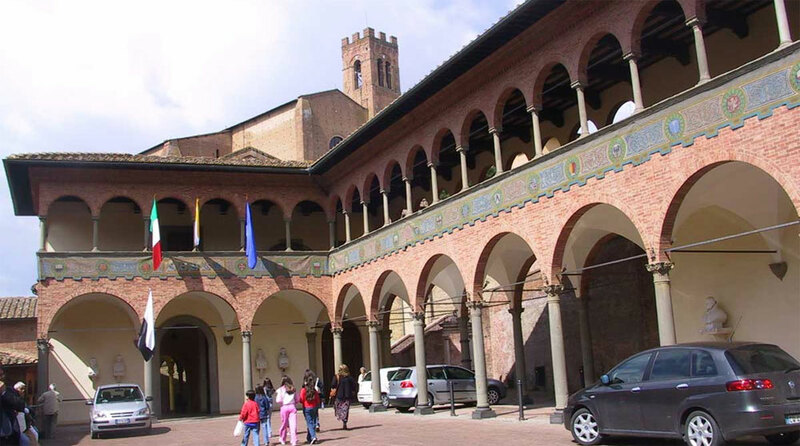 From the courtyard you can enter the civic museum (il Museo Civico) and proceed into the Hall of the Risorgimento with its frescoes of the late 1800 narrating Facts in the life of Vittorio Emanuele. 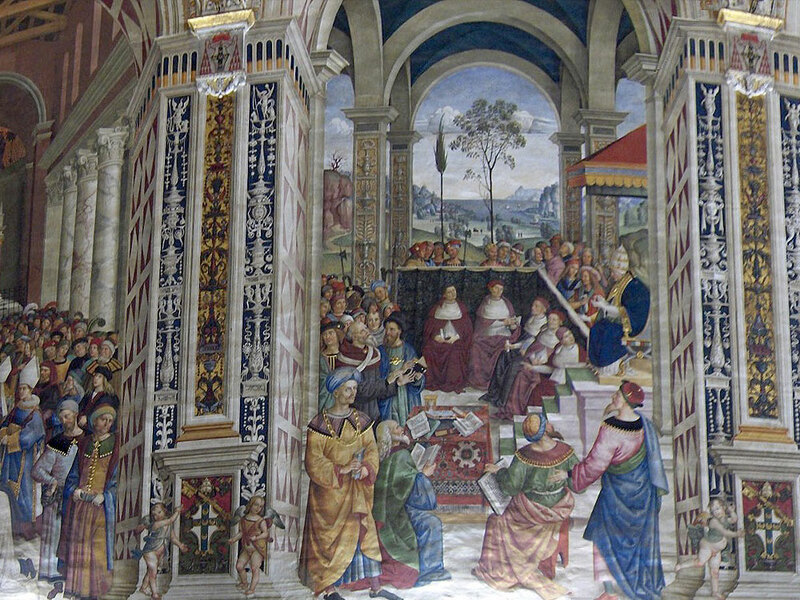 Then follows the Hall of the Priors with the frescoes illustrating the life of the Sienese Pope Alessandro III by Spinello. In the vault are the Allegories of virtue by Martino di Bartolomeo. Moving on through the Hall of the Cardinals and into the Consistory, you reach the Antechapel with its frescoes by Taddeo di Bartolo, and the Chapel. Then one enters the Sala del Mappamondo where you can admire the Maestà, a masterpiece by Simone Martini who started this work in 1312. 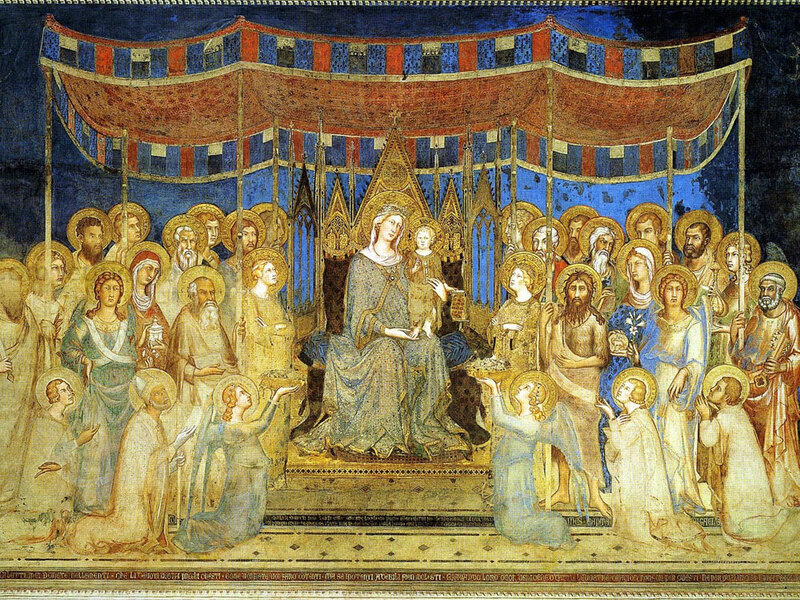 On the opposite wall is another very important work by Simone Martini – Guidoriccio da Fogliano that dates from 1328. Under this work, Sodoma, in 1529 painted San Vittore and Sant’Ansano, two saint protectors of Siena. On the upper part of the wall, in front of the window are the works by Lippo Vanni (The battle of the Val di Chiana ) and by Giovanni di Cristofano Ghini and Francesco d’Andrea (The battle of the Poggio Imperiale); bellow are some of the most important Sienese Saints: Beato Bernardo Tolomeo by Sodoma, San Bernardino by Sano di Pietro and Santa Caterina by Vecchietta. On the right you can access the Hall of Peace, which was the seat of the Government of Nine (1292 to 1355). Here are the celebrated allegoric frescoes by Ambrogio Lorenzetti : “Allegory of the Good Governing”( 1338/40) and “The effects of good governing in the town and in the countryside”, which shows the positive effects of the Government of Nine. 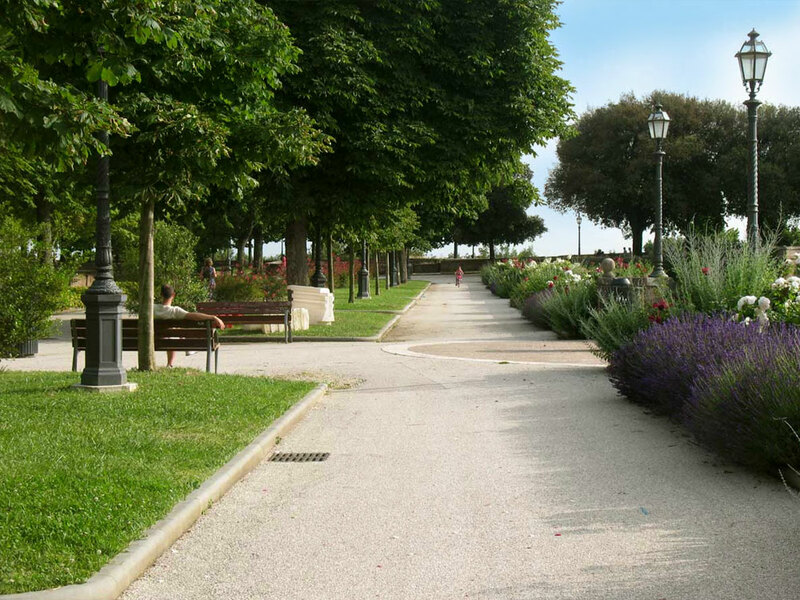 On the right you can access the Hall of Peace, which was the seat of the Government of Nine (1292 to 1355). 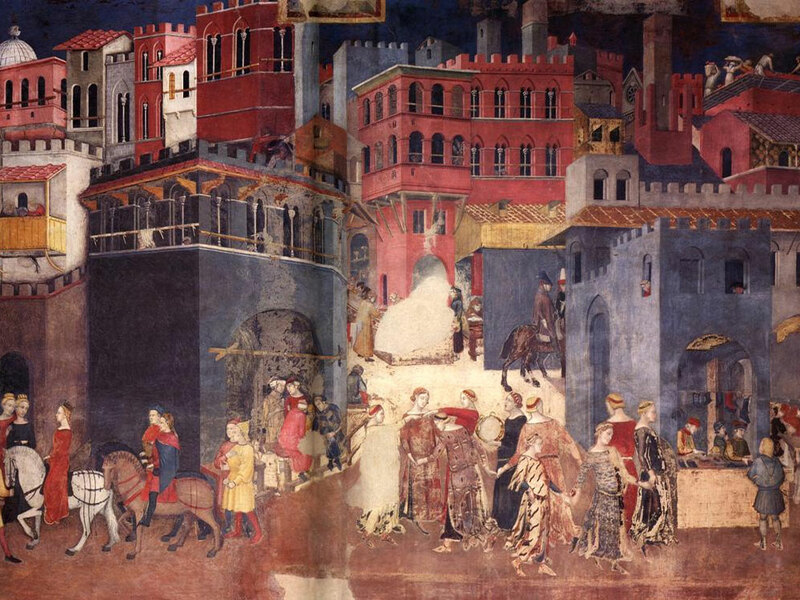 Here are the celebrated allegoric frescoes by Ambrogio Lorenzetti : “Allegory of the Good Governing”( 1338/40) and “The effects of good governing in the town and in the countryside”, which shows the positive effects of the Government of Nine. On the opposite wall is the “Misgovernment and its effects “. 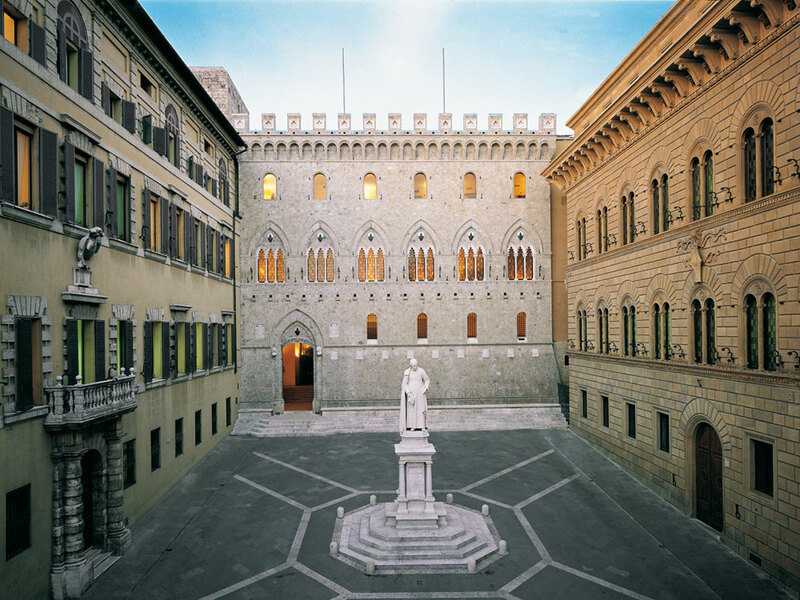 In front of the elegant 15th century Palazzo dell’Università you find Palazzo Piccolomini built, it is thought, by Rossellino in 1469. From 1855 it is a seat of the State Archive, and here are kept the most important historical documents, which are on display. Very interesting is the collection of Tavolette di biccherna: the covers of the public registers painted on small scale by the Sienese artists. The authors of these works, commissioned between 1258 and 1682, are Domenico Beccafumi, Francesco di Giorgio Martini, Ambrogio and Pietro Lorenzetti. 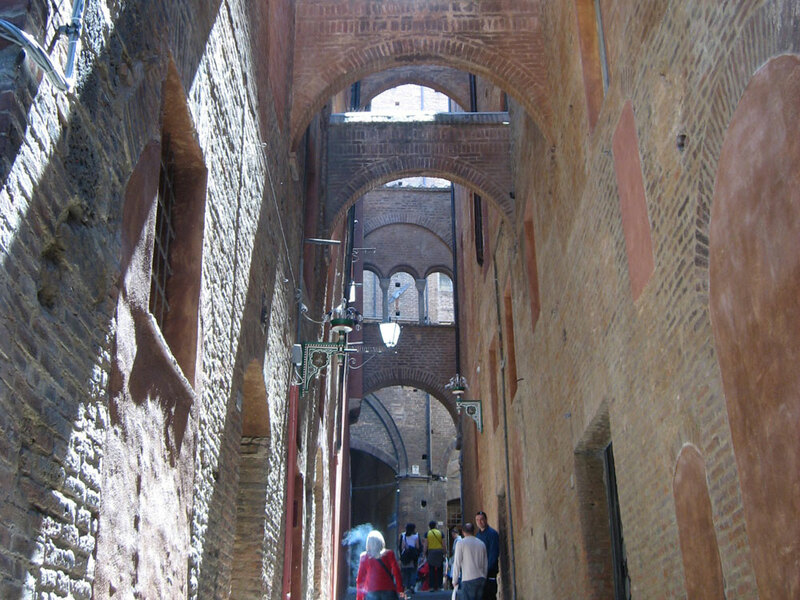 In one of the most busy parts of the town, which is called Croce del Travaglio, rises the Loggia della Mercanzia in Gothic Renaissance style with the façade in the form of arches on pillars with niches containing the statues of Saints by Federighi and Vecchietta. 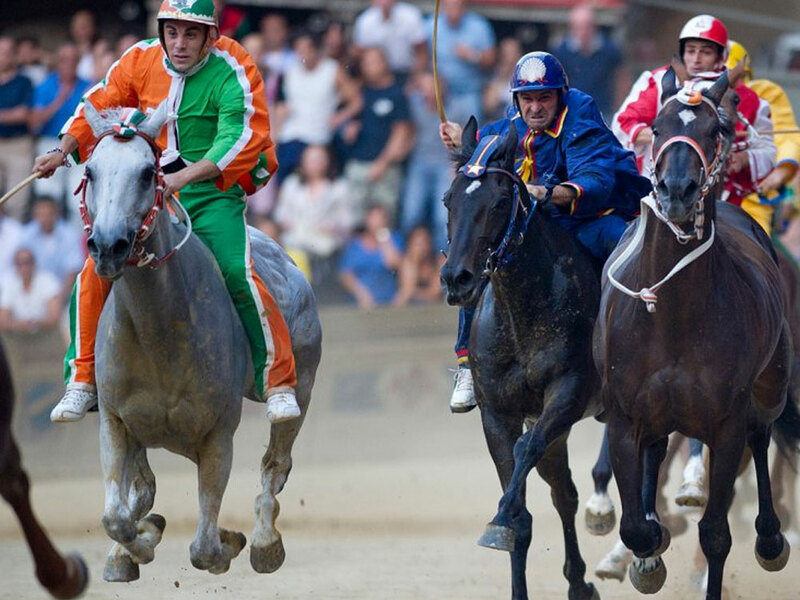 From here depart the three main arteries of the town: Via di Città, the Banchi di Sotto and the Banchi di Sopra. The Cathedral – il Duomo- although the most important monument of the citizens, it is one of the most beautiful creations of the Italian Gothic. The Cathedral was begun in 1229 but it was finished only at the end of the next century. A great boost was given to the work from 1258 to 1285 by the monks of St. Galgano abbey who called in Nicola and Giovanni Pisano. The façade, in Romanesque-Gothic style, was finished between 1376 and 1382 and is animated by the numerous statues sculptured by Giovanni Pisano, today substituted by copies. 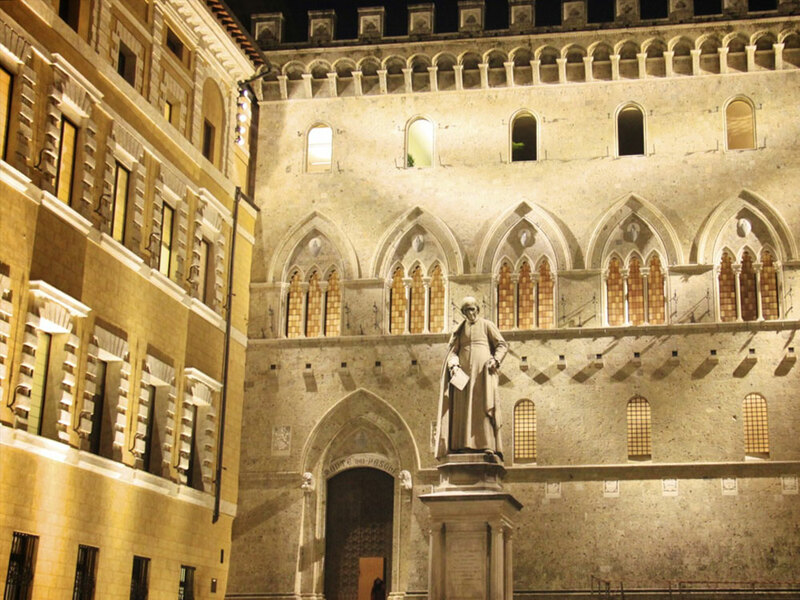 The upper part of the façade, inspired by the flamboyant Gothic, is by the Sienese Giovanni di Cecco. The inside is Romanesque with interesting frame of the busts above (15th and 16th century). These are the imaginary busts of 171 Popes. The main floor of the Cathedral is subdivided into 56 squares, partially in graffito, partly in marble mosaic, which narrate the facts from the Old Testament. The holy water stoups, placed in the middle nave, are by Federighi. It is worth noting the Piccolomini altar with the statues in the niches by a young Michelangelo and also the Piccolomini Library built in 1492 on the wish of Cardinal Francesco Todeschini Piccolomini. 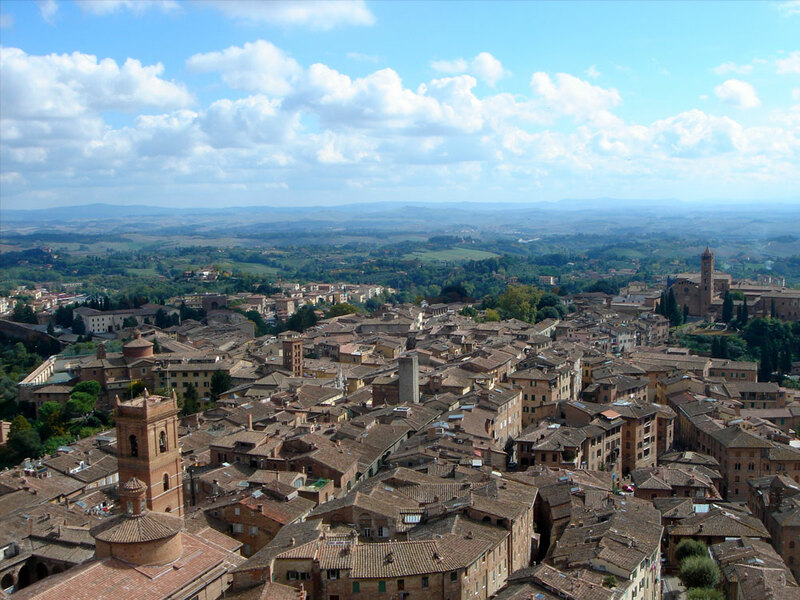 The walls are decorated with the frescoes by Pinturicchio. Into the transept are open the Chapel of the Madonna of the Vow and the Chapel of S.Giovanni Battista, the presbytery with beside the famous Pergamo by Pisano and the Sacristy, which is rich mainly in the frescoes of fifteenth century Sienese masters. Bellow the apse of the Cathedral is the Baptistery, which was built between 1316 and 1325, with the façade in the Gothic style. Inside are the frescoes by various authors and The Baptismal Font designed by Jacopo della Quercia, a masterpiece of Tuscan Gothic sculpture of the Renaissance.